UP Lekhpal Bharti 2017- 2018 – UP Lekhpal Vacancy 2018 news and updates can be checked here. 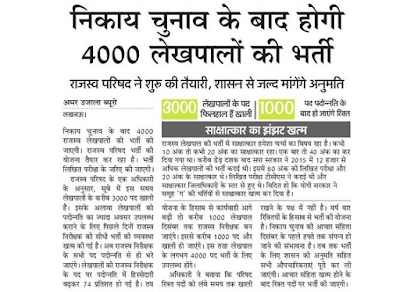 4000 UP Lekhpal Bharti is announced by UP Government. 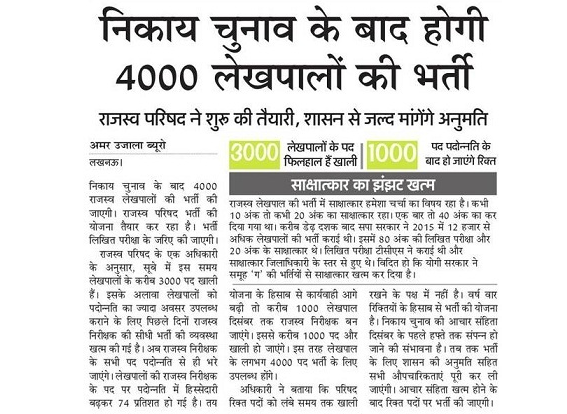 As of an estimate in 2014, there are more than 4200 Rajaswa Nirikshak and 30837 lekhpal posts are vacant in Uttar Pradesh state. This is why UP government has to announce UP lekhpal Bharti for 4000 posts for now. Although these are just a percentage of total vacancies, so UP Govt will fill other vacancies on promotion basis. But Chief Minister of UP state, Mr. Yogi Adityanath, also stated that they will soon release UP lekhpal vacancy for 30000 posts.